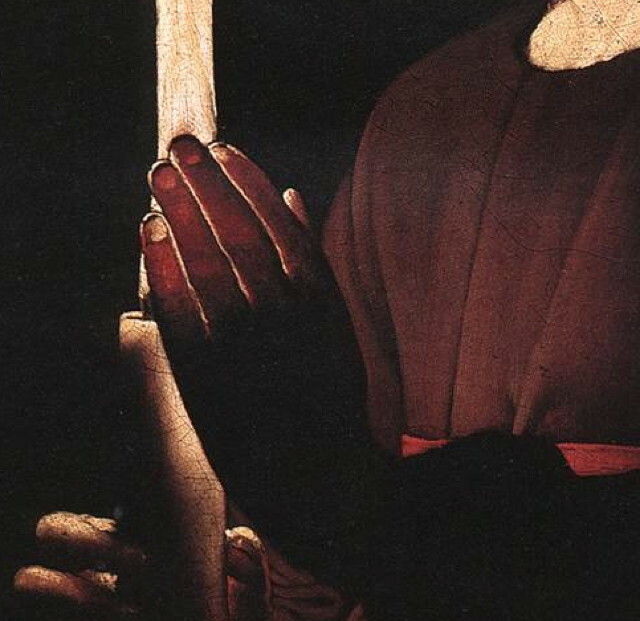 "Another haunting work of Georges de la Tour in his tenebrist style is Christ in the Carpenters Shop, completed in 1645 and which hangs in the Musée du Louvre, Paris. "It is a depiction of Joseph, a descendant of the house of David, husband of Mary and "foster father" to Christ, who was a carpenter in Jerusalem. 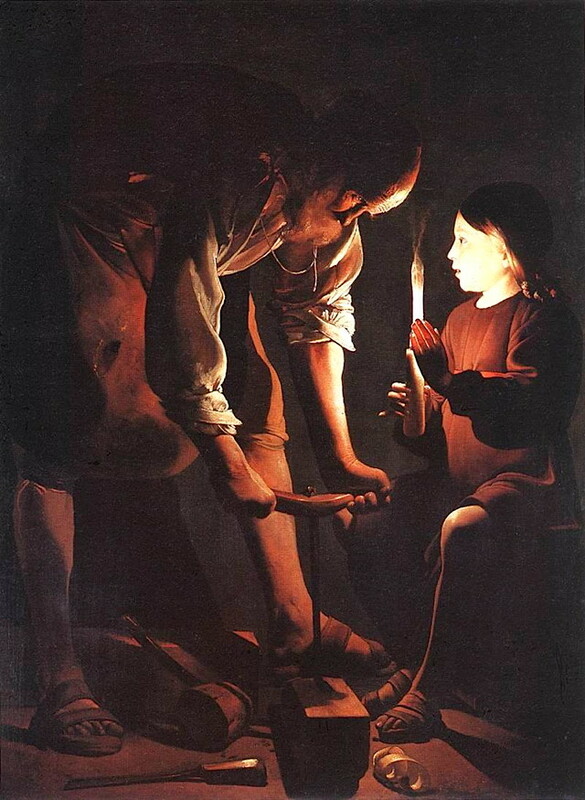 In Georges de la Tour's depiction we see Joseph leaning forward, busy drilling a hole in a block of wood with his auger, the shape of which mirrors the shape of a cross. He is in his workshop watched over by Jesus whose face radiates in the large frame. 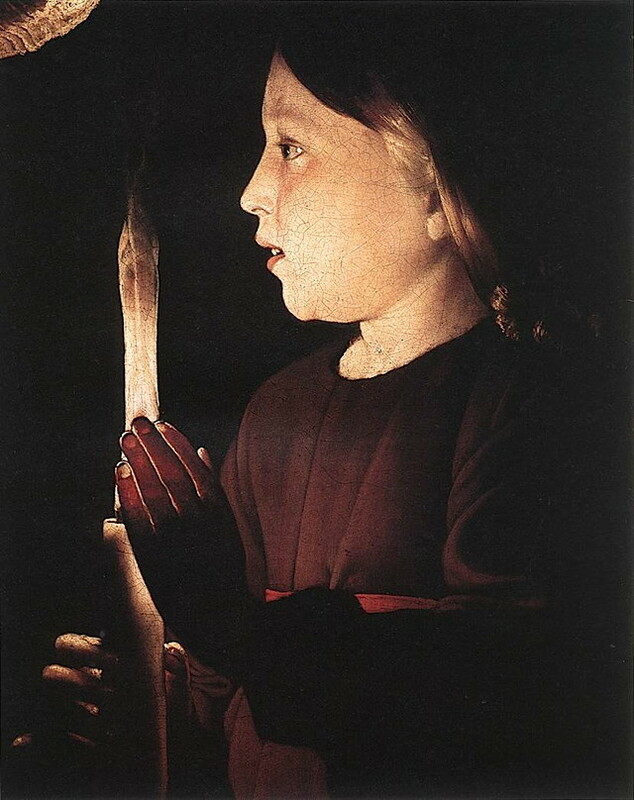 Once again the depiction of the two characters is swathed in darkness with only their faces and upper bodies lit up by the flame of the candle held by the boy. "Move it over to your left, Son, you have the light right in my eyes!" The art is great, the history not so much. When was Joseph a "carpenter in Jerusalem?" Answer, never. Try Nazareth, as in "can anything good come out of Nazareth?"